Well my husband Colin came up trumps with my birthday gifts. 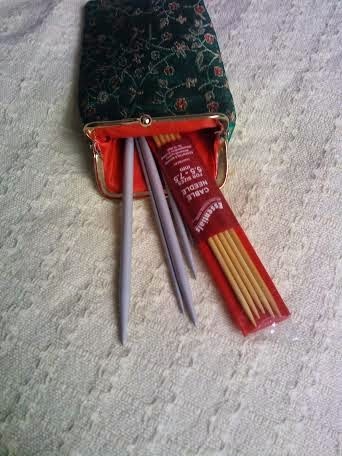 I had hinted at a new bag and storage for my crochet hooks and cable needles with the possibility of some bamboo knitting needles. The cases for crochet hooks are expensive so I was looking at spectacle cases as I was sure they would be large enough for the job. So when I got all this for my birthday I was really pleased. A new bag, Colin had found a bag that allowed you to choose the name you wanted to it. 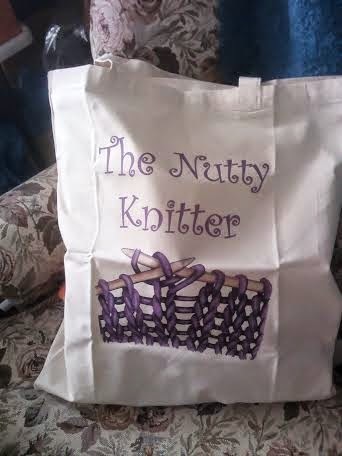 He chose The Nutty Knitter as it is the name of my blog. 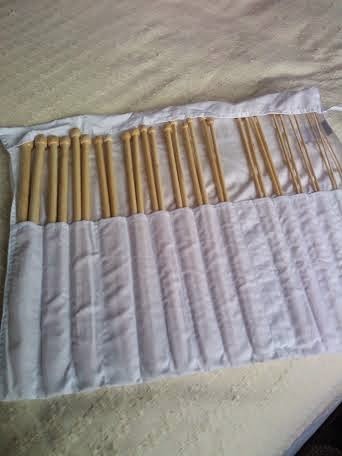 Bamboo needles and they are lovely, nice and smooth and so feel nice to handle. 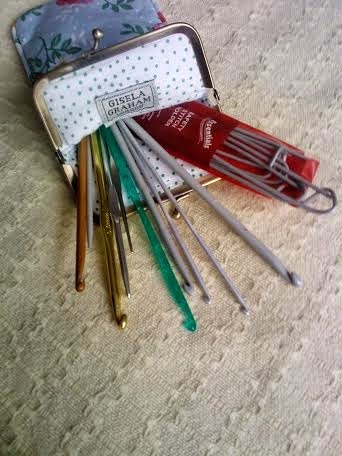 Crochet hooks and stitch holders housed neatly. I transferred the scarf I am knitting to my new bamboo needles and love them they are light and smooth and no more metallic clicking. I love the films Mrs Miracle and Call me Mrs Miracle so when I was hunting for a simple pattern I was really happy to find this one. 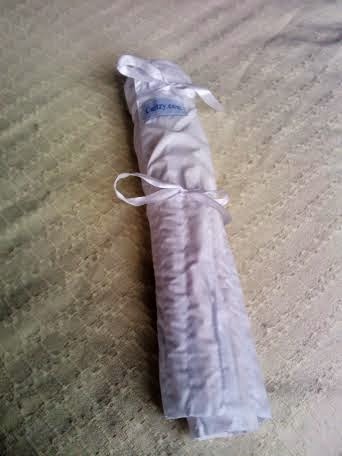 If you want a scarf that has no purl stitches and looks pretty then try this, it is easy to do and looks lovely as well. 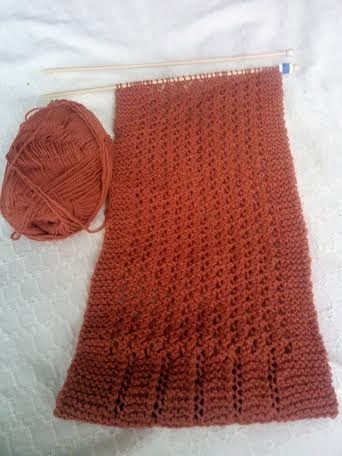 So I will have a Miracle scarf when it is done and will see if I have enough yarn for some fingerless gloves to go with it as well. All in all a great birthday and I have just what I wanted and Colin did really well getting me a bag that is so personal. 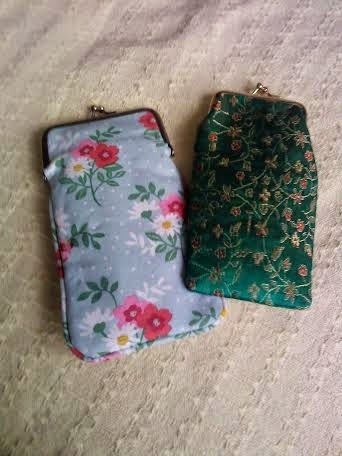 It now contains my folder with patterns in it that I want to knit, the cases I got along with the bamboo needle roll and my knitting project, perfect everything is now to hand and neat and tidy.